Former Walsall loanee Jason McCarthy, who has today completed a transfer from Southampton to Barnsley, has taken to social media to offer his thanks to both the Saints and Saddlers as he begins a new chapter in his career. Walsall have been dealt another transfer blow as Sky Bet Championship side Barnsley have now confirmed the signing of Southampton defender Jason McCarthy, on a three-year deal. With the 2017/18 League One season just over seven weeks away, Jon Whitney's Walsall have been dealt another transfer blow as Southampton defender Jason McCarthy closes in on a transfer to Championship side Barnsley. On-loan Southampton defender Jason McCarthy, who will return to his parent club following a season-loan spell at Banks's Stadium which saw him play in over fifty games, has spoken to the local press and discussed his belief that the club will finish next season higher up the table, before backing Saddlers manager Jon Whitney, insisting that the 46-year-old is the man to take the club forward. On-loan Southampton defender Jason McCarthy, who made fifty-two appearances during a season-long loan spell at the Banks's, has spoken to the local press and once again refused to rule out a return to the club as he will become a free agent in the summer. McCarthy - "I Can’t Thank the Fans Enough"
On-loan Southampton defender Jason McCarthy, who made fifty-two appearances during a season-long loan spell at the Banks's, has spoken to the local press and thanked Saddlers fans as his loan spell comes to an end. 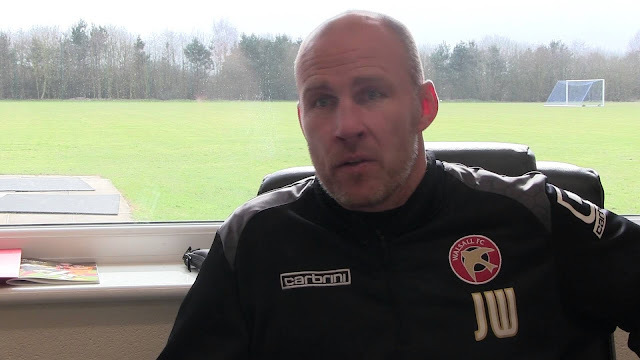 As Walsall gets set to reveal which players they are hoping to keep along with those who are set to depart, Saddlers manager Jon Whitney has spoken to the local press and discussed his desire to re-sign loanees George Dobson, Eoghan O'Connell and Jason McCarthy. According to media reports, Walsall goalkeeper Neil Etheridge and on-loan Southampton defender Jason McCarthy are both targets for recently promoted League One Champions Sheffield United, as they prepare for life in the Championship. 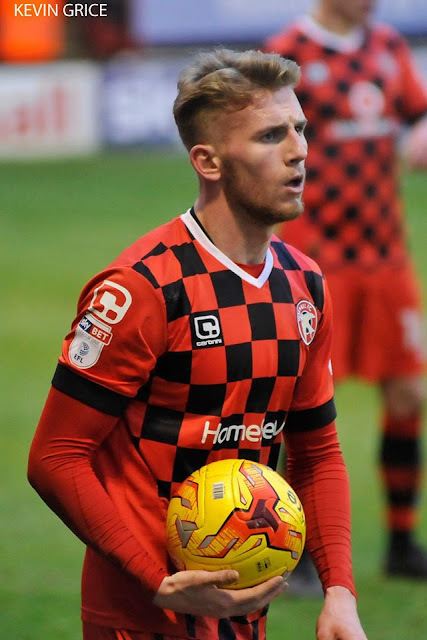 Walsall's on-loan Southampton defender Jason McCarthy, who has just months remaining on his Saints contract, has spoken to the local press refused to rule out a summer switch to Banks's Stadium. McCarthy - "I Have Been Really Pleased With the Progress I’ve Made"
On-loan Southampton defender Jason McCarthy has spoken ahead of this weekend's League One clash with Oxford United, and has discussed the progress he has made in a Walsall shirt, going on to praise fellow loanee Scott Laird. Walsall's on-loan Southampton defender Jason McCarthy has taken to Twitter following Saturday afternoon's Sky Bet League One defeat to Southend United, which saw the Saddlers squander a two-nil lead to lose by three-goals-to-two, and has admitted that the result was 'unforgivable'. Walsall FC have announced details of a signing session which will take place from 2:00pm in 'The Club Shop' at Banks's Stadium on Thursday, 23rd February, with several first-team players scheduled to attend.